Inspired by the streets, inspired by history. The Vulcan® 900 Custom and Custom Special Edition both draw from the styling cues from back in the day and modern times. There’s plenty to like about the Custom’s styling profile, from its aggressive flat handlebar to forward footpegs. The stylish cast wheels, including a solid-look rear wheel, give it a distinctive appearance. And the 180-series rear tire is the largest in its class, highlighting its big bike style. And its affordable price tag makes the Custom an even more appealing ride. The Vulcan 900 Custom’s appeal is more than just paint-deep. 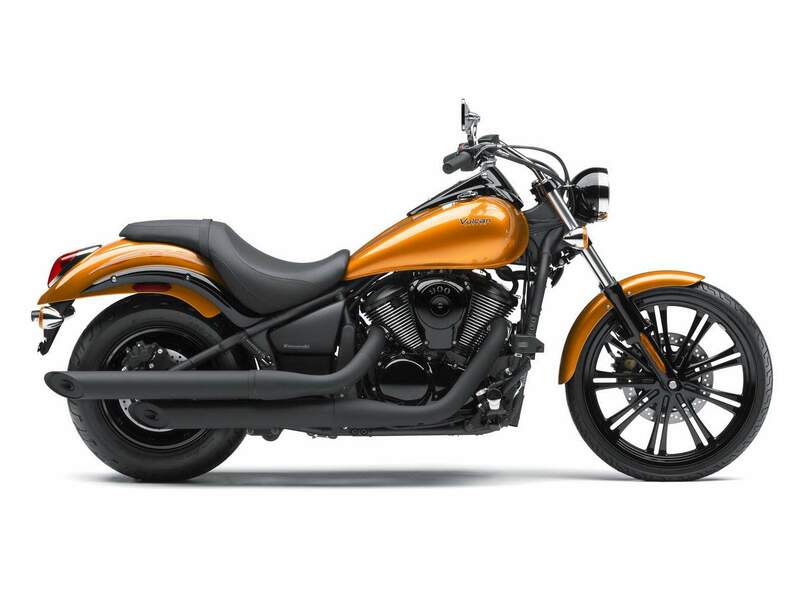 It has a fuel-injected 903cc engine that produces exceptional roll-on acceleration rivaling the get-up-and-go of much larger motorcycles – yet it’s wrapped in a nimble chassis that lets it turn and handle like no heavyweight motorcycle can. The 900 Custom’s unique, edgy design shows it can stand out from the crowd. Kawasaki engineers and designers concentrated on delivering a motorcycle with a customized appearance typically found only on expensive two-wheel offerings. A massive rear tire, light-looking front end accentuated by a thin 21-inch cast wheel, and sculpted bodywork top the stand-out features of the Vulcan 900 Custom. Bridging the visual contrast between the front and rear wheels is a sleek and subtle fuel tank. Its flowing lines easily lead the eye along the careful and delicate curves that blend together the highly customized form of this gem of mid-sized cruisers. A matte black frame provides an understated framework for the Kawasaki artistry that is the appealing and gutsy, fuel-injected V-Twin Vulcan 900 Custom. Its stylish aesthetics grace a platform that’s perfect for customization with Kawasaki accessories. 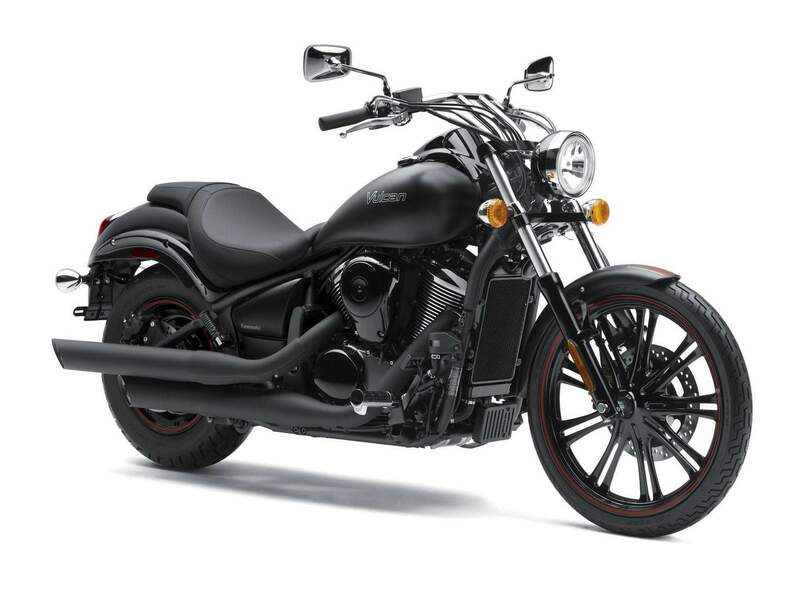 Ready for anything from local streets to highway speeds, the Vulcan 900 Custom’s good power, excellent stability, easy maneuverability, and startling good looks make this Kawasaki the one to own. Want an even more exclusive ride? Then the “Special Edition” model may satisfy that craving. The Vulcan 900 Custom SE comes with all the trappings of an expensive handmade creation for a fraction of the cost and none of the maintenance headaches. It features a special black-out treatment on the air cleaner, engine cases, and exhaust. To go along with the special black-out treatment, this year’s Special Edition features solid black wheels. The 2012 Vulcan 900 Custom SE is finished off with a Special Edition Candy Sparking Orange paint scheme with a tribal pinstripe graphic on the tank and rear fender. The Vulcan 900 Custom is a factory built custom bike that really stands out from the crowd. It’s the result of Kawasaki's pursuit of the essence of a true custom motorcycle. A study in contrasts, its low set rear, massive rear tyre and solid disc wheel are juxtaposed against a clean and lightweight front end. With the flick of a switch, the fuel injected V-Twin Vulcan 900 Custom comes to life, its satisfying pulse urging the rider to hit the open road. The feel good acceleration and light, sporty handling characteristics offer a stress free riding sensation that will have riders reluctant to dismount, except perhaps to admire their ride. Designed to look good from all angles, the carefully crafted Vulcan 900 Custom’s bodywork creates delicate patterns of light and shadow, enhancing the Custom’s striking appearance. 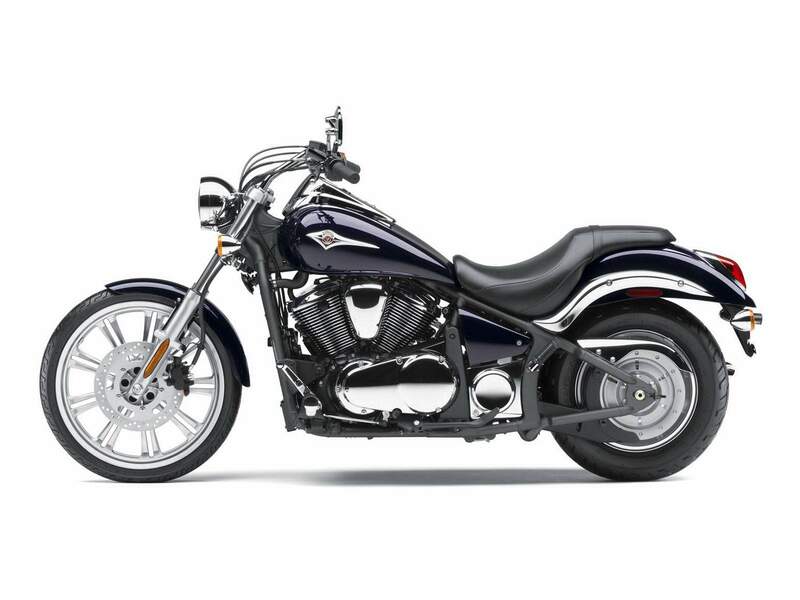 Whether booming down the highway or cruising slowly through city streets, the Vulcan 900 Custom’s light sporty handling makes it one easy to ride cruiser.